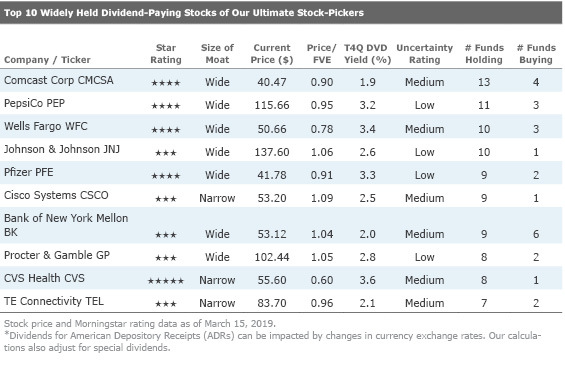 Seven of the top 10 dividend-yielding names are undervalued. The final stock we will highlight is wide-moat rated PepsiCo, which was the second most widely held dividend-paying stock and the tenth top dividend-paying stock this period. Morningstar analyst Sonia Vora thinks that PepsiCo’s leading portfolio of beverage and snack brands has carved out a wide moat for the firm, which is based on intangible assets and a cost advantage. This low-uncertainty stock is currently trading at a modest discount to Vora's fair value estimate of $122. 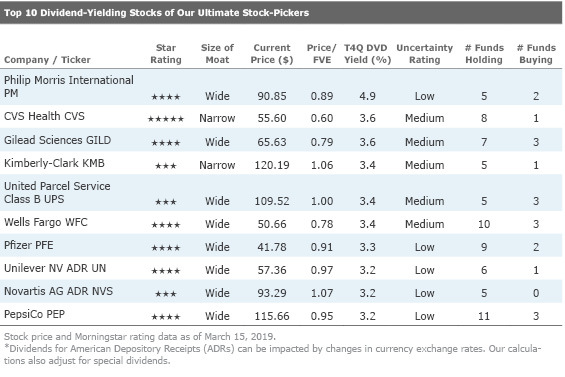 Ultimate Stock-Pickers layers Morningstar’s own stock recommendations over a cross-section of great investors’ stock picks to uncover enticing opportunities.